Tunisia claimed their second successive win in the Nations Cup qualifiers after defeating Swaziland 2-0 away to top Group J with six points. Esperance de Tunis striker Taha Yassine khenissi gave Tunisia the lead after 18 minutes and winger Naim Siliti made it 2-0 eight minutes before the break. Forward Wahbi Khazri wasted a penalty in stoppage time. 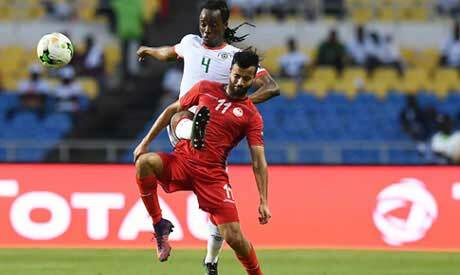 Tunisia, who defeated Egypt in the group opener last December, lead the group with six points, three ahead of second-placed Egypt who thrashed Niger 6-0 on Saturday. Fullbacks Ali Maaloul and Hamdi Nagguez, who play for Egyptian sides Ahly and Zamalek respectively, played the full 90 minutes in the Carthage Eagles' win. The first two teams in all groups but the one featuring hosts Cameroon will reach the Nations Cup that will take place in the summer of 2019.